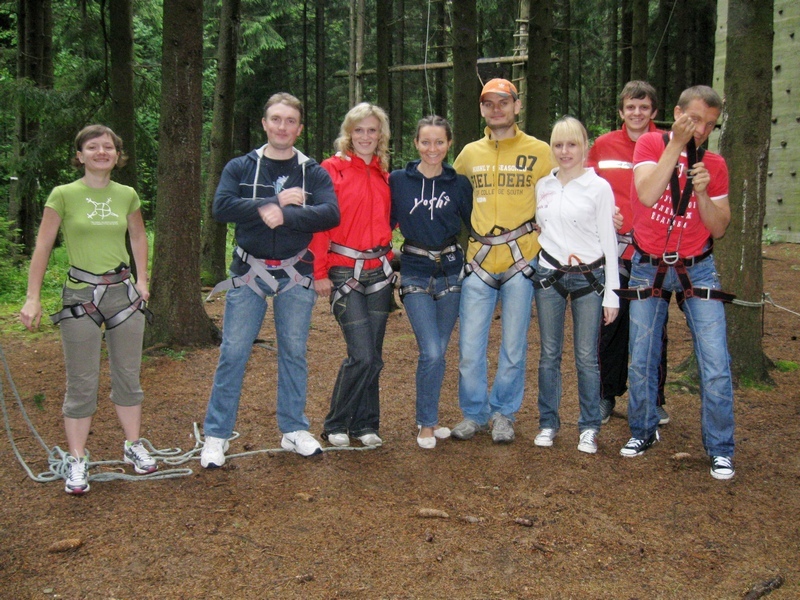 On Saturday, July 14, SCAND held its first summer corporate outdoor adventure «Summer Corporate Active Notable Day’12» (SCAND’12). The venue was an amusement park Krutogorye, where the employees were able to spend the first half of the day, playing volleyball, soccer, frisbee, learning archery and testing their strength and will on the extreme rides – all despite the rain and gloomy skies . The afternoon was devoted to team building game – Quest, the main purpose was to acquaint colleagues from different departments and areas of development (for the game participants were divided randomly in 7 teams in the colors of rainbow). The winner of the game became SC& Red team, which won the right to search for the main prize and honestly shared the award with other participants. The evening ended gathering at the bonfire and playing the traditional tourist game Crocodile on the picturesque shore of the pond. The employees took back from the wonderful place lots of impressions, good mood, and cheerfulness, as well as photos, the best of them can be seen here. June 25, 2012 Hearty Congratulations to Our SCAND TS Champions’2012! December 20, 2012 I Draw a New Year!